I used this twice. Of course it's in perfect shape. I also soldered 4mm bullet connectors for your power supply. I have too many chargers so I'm selling this one. This is the same as the ORCA charger, just a different name/color. 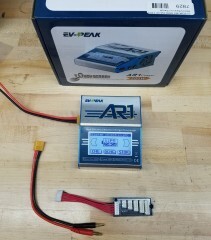 EV-PEAK AR1 integrates battery technology together with touch-operated system. It is equipped with a 128*64 pixel resistive touch screen, making the operating procedures very intuitive. AR1 comes with a memory module. Users can edit and save parameters of different batteries. Once the battery parameters are edited, the shortcut for parameters will be generated on the screen, which provides a simple on-click interface for users. 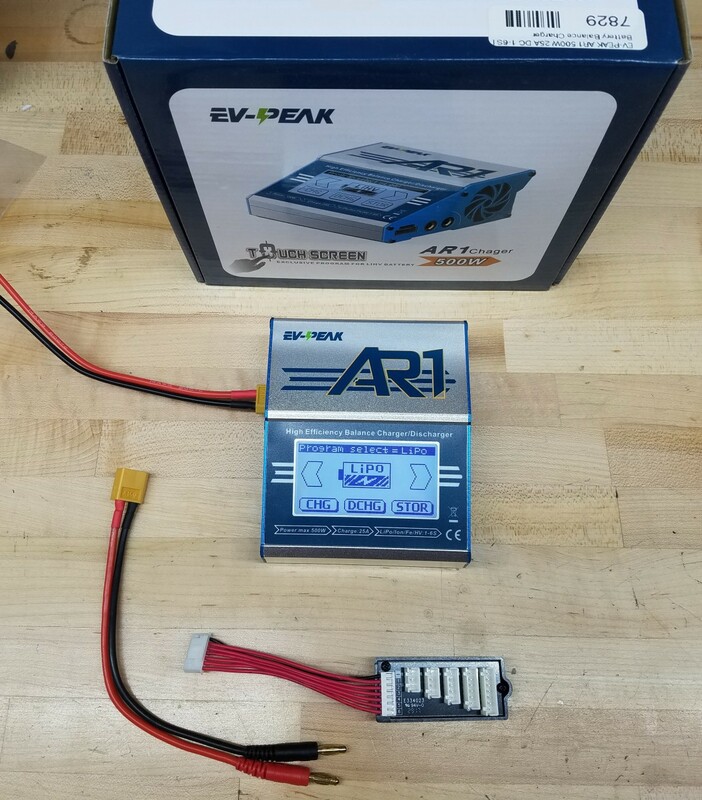 AR1 can be powered up with 12V car battery or 11-32V output power supply, suitable for use with LiPo / LiFe / LiHV / Li-lon / NiMH / NiCd / Pb battery, maximum 25A charge current and maximum 300W charge power. Integrated high-performance micro processor and high-efficient cooling system, control the charger always under a safety temperature situation. Click the button below to add the EV-Peak AR1 25 Amp Touchscreen Charger to your wish list.